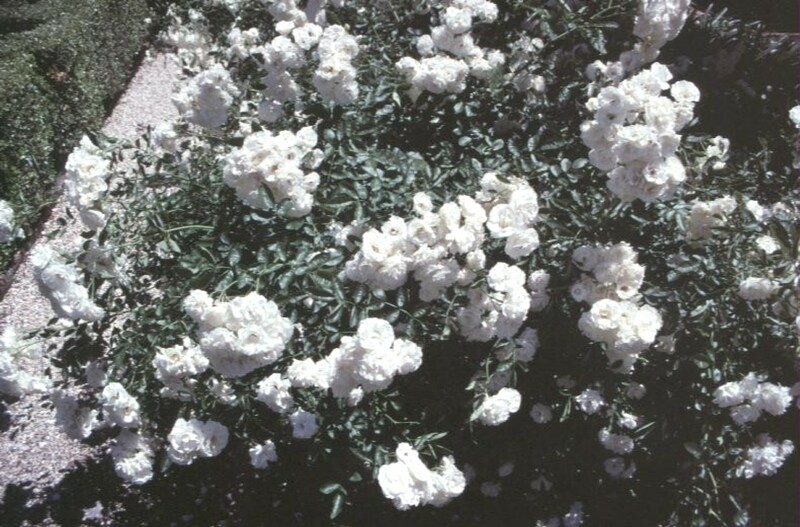 Comments: This white flowering floribunda rose was introduced in 1938. It has been among the favorite white flowering roses through the years. Flowers are produced in large clusters over an extended period. Check this rose for pests that include black spot, spider mites, thrips, aphids and powdery mildew.